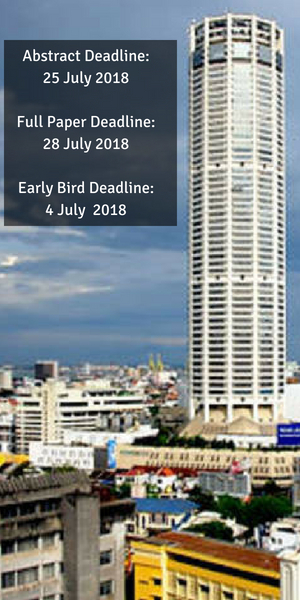 The 6th International Conference on Applies Sciences and Engineering Applications (ICASEA) will be held on 4 & 5 August 2018 at Bayview Beach Resort, Batu Ferringhi, Penang, Malaysia. 6th ICASEA 2018 offers a collaborative environment to academicians, researchers and practitioners to exchange and share their experiences and research results on all aspects of Applied Sciences and Engineering. The conference will also provide a platform for the intellectuals from various fields and disciplines in Applied Sciences and Engineering to debate and discuss the current issues worldwide as well as finding solutions to the problems. The organizing committee of conference is pleased to invite prospective authors to submit their original manuscripts to 6th ICASEA 2018.